Did you ever dream of owning a house with a white picket fence when you were little? 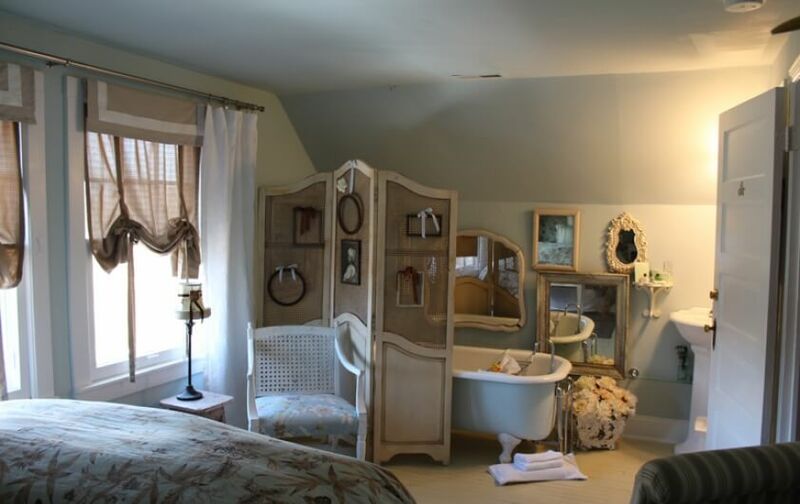 Well, in this room at our B&B in Virginia and you can actually dream about this while sleeping on a bed featuring a shabby chic, fence headboard. 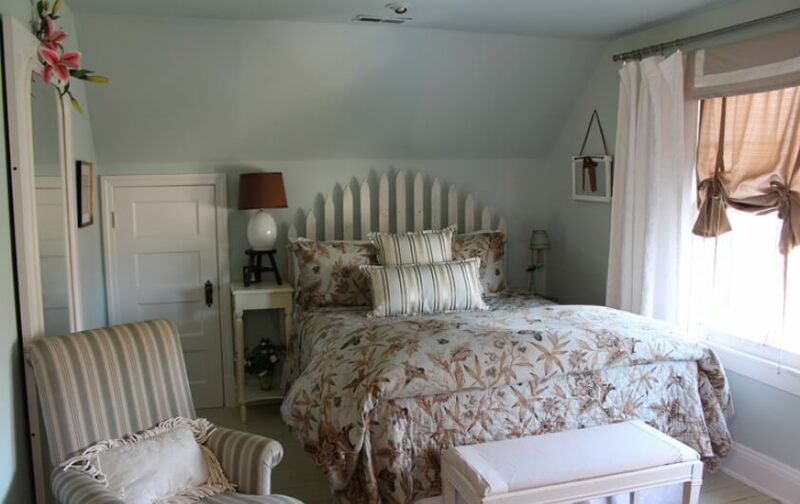 Designed with neutral blues, tans, and whites, this room is a soothing environment where one can come to relax. Styled by our experienced designers, the floral and bird bedspread, luxury linens, and plush Queen bed are a welcoming beacon to the weary. 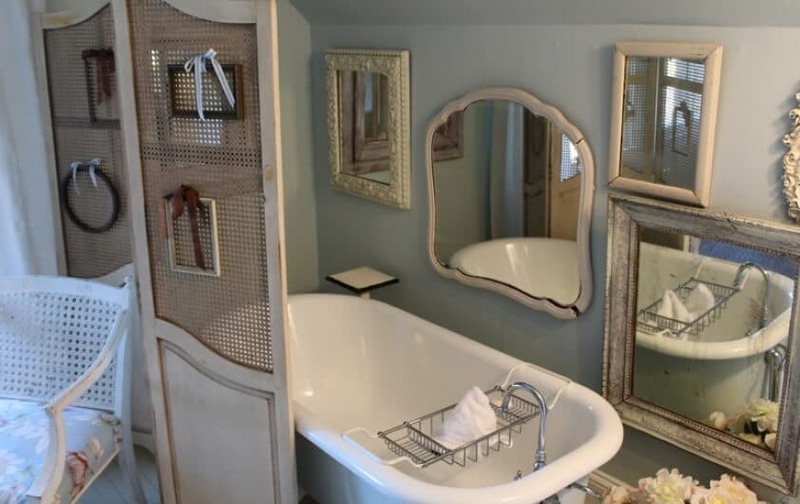 Soak in the clawfoot tub at the far end of the room and partake in aromatherapy with Gilchrist & Soames luxury toiletries, wrap yourself in a terry towel or waffle bathrobe, and forget about any stresses in your life. We’ve taken care of every detail when it comes to your comfort. Whether you need a hair dryer, iron, ironing board, fan, or flashlight, you’ll find it in your room. The room rate includes housekeeping service and a complimentary gourmet breakfast.